Outsourcing office tasks that involve large volumes of your company’s proprietary data can be risky if the company you choose does not have secure processes in place for the transfer and protection of that data. Back Office Pro takes data security very seriously and as a result has a number of carefully maintained systems and processes in place to ensure no issues develop. With multiple layers of security – both physical and legal – we ensure that your data is only seen and used by those who are qualified to do so and that it is constantly tracked so you can see what has been done and who has had access to that data. To start, we use a strict Non–Disclosure Agreement that we recommend to each of our customers. These documents show our commitment to data security from the start and ensure that you have full protection against any loss. We also require all of our staff to sign individual NDAs before accessing or working on any projects. ITo ensure that the contents of your data are protected at all times, we have a number of security measures in place beyond legal protection. These include physical and digital layers of security both in our building and on our VPN servers. To start, all email and data we receive and send is fully encrypted and we backup data both on and off site to ensure no leakage of that data. Once a project is completed, we return original documents or ensure destruction of those documents (with proof) so there is no content that could be compromised in the future. By using a customized VPN tunnel we are able to ensure the protection of data in transfers between our servers and those of our clients. Using a Cisco PIX firewall, we are also able to block external ports and maintain secure connections. Our buildings are also monitored by physical surveillance, including security cameras and officers and regular audits and facility monitoring to avoid any oversights. 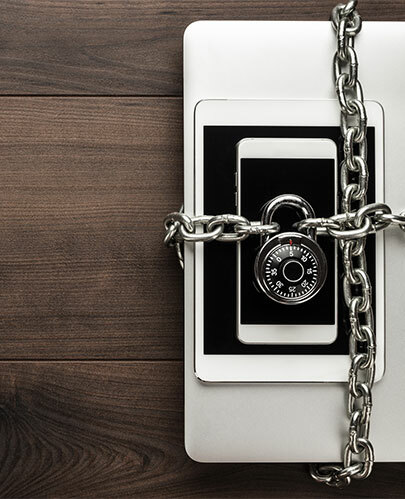 When it comes time to outsource any components of your business’s internal workings, trust your data security to the experts of Back Office Pro. Contact us today to learn about our security procedures and how they are designed to protect you. “I was very happy with the photo editing services provided by Backoffice Pro. They followed my detailed 6 point instructions and the finished product was exactly as I wanted it to be. Customer service is very good and response time is very fast." “Thanks to the team for a professional edit to my real estate image - my client was very happy with the outcome of this retouch and clone. My instructions were interpreted very well and the execution was very good with an extremely quick turnaround." “I was looking for someone to restore an image of my great uncle in his military years, Suman has done a fantastic job in the restoration and provided me with 2 versions of the restored image and was also extremely efficient! I highly recommend Suman at Back Office Pro for any image restorations you may need"